We offering the quality and reliability of Softwares/ Php Scripts with cheap prices, Our specialization is developing php scripts for Multi Level Marketing/MLM, Network Marketing, Online Shop, Affiliate/ Reseller and other kind of internet marketing businesses. EGN Software is the best solution for small/ medium/ big companies to run profitable online businesses with lower cost! Most of network marketing companies have a hardship experience of trying to make a decision on their network marketing software. Our rich feature softwares provides a great deal of automation and flexibility, allowing for almost hands free management of your online business. Our Network Marketing scripts are the best solution for both corporate businesses and web entrepreneurs to handle various activities of your professional business. 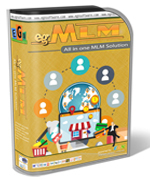 egMLM is a only software that you need to build, manage, control and organize your Multi Level Marketing/ MLM Business. egMLM allow you to configure custom pay plans and compensation rule such as Binary plan, Pairing bonus, Matching bonus, Unilevel matrix, Revolving matrix, Regular matrix, Pool bonus, Reward bonus, Pass-up bonus, Sponsor bonus, Reward point, etc. 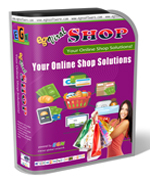 egViral Shop is a complete Online Shop/ Shopping cart software with Network Marketing System. You can sell anything online and increase sales by running a network markting plan such as Binary plan, Revolving matrix and Regular matrix working simultaneous. 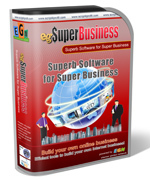 egSuperBusiness with Online Shopping/ Repeat Order, A Superb Software for your Super Business! If you want to sell products online with multi-level marketing system, then egSuperBusiness + Shop is the right software for your business. egSuperMatrix is another powerful networking script from EGN Software, works with Multi Stage/ Revolving Matrix, Company Matrix and Powerline/ Pass Up plan that working simultaneous. This software is able to work with any size of matrix with advanced configuration for the commission plans. A membership software that helps you to build membership business with multiple membership type and selling unlimited downloads and articles with multi categories and create the access limitation for each membership type. egMember can be used for online training website, motivation, forex signals, soccer predictions and more. Our MLM and Network Marketing Softwares/ Scripts provide automation and flexibility, featuring customizable template driven webpages, full payment and transaction integration. Auto generate and personalize members referral page, full admin area for complete control over your program and members, multiple products or downloads, Internal Ticketing System, Content Management/ CMS and many great tools to help you managing your online business websites. Forced Matrix, Unilevel, Binary, etc..
No monthly fees to use the software, Get Free updatates for 1 year, Free installation and Free 1 year webhosting for selected products. Once the product activated, you can download the product in Members Area. Do you have any question? Please refer to FAQs or Contact us.